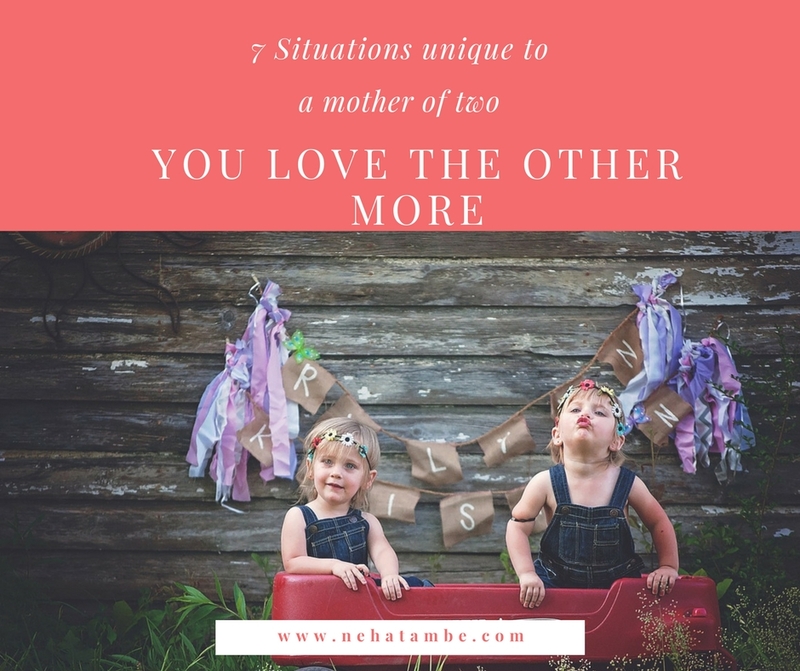 If you are a mom of two, you have had this conversation quite a few times. Whatever the age gap both the children believe that they are ignored and how much ever you try convincing them otherwise, it will have no effect. You will just keep going round in circles with no results. This is the first allegation that you will counter once the new baby arrives. 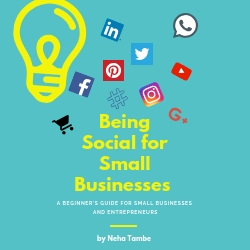 The first kid will feel left out, especially with the new baby’s feed – sleep cycle the older child will feel ‘mumma’ spends the most time with the baby and dad goes to work, so nobody cares for them. My kid had high expectations when the second one arrived. She assumed that we will take the baby to play area from day one and she could ‘play’ (read running and hide-n-seek with the baby) So, you can imagine her disappointment when she realized that all the baby did was eat – sleep- cry- repeat. Not even the cute smiles that television ads show-off! She even suggested that as the baby wasn’t doing much and was kinda boring we should think of returning him! As if babies come with a 30-day return policy! Initially, I felt maybe I was doing something wrong and was to be blamed for this feeling in my older kid, but then I heard experiences from other mom’s and realized this is a natural phase that the child goes through. They require time to accept the presence of this new human being. All good things happened when Bhaiyya was a baby! This is what you will hear from the younger ones. There are more photos and videos of the older one, there are more celebrations, better toys (the younger one usually gets hand-me-down’s especially costly toys) Their ‘nakhras’ aren’t taken that seriously! Reason’s are numerous, but generally, it does happen. It doesn’t mean we love the younger child any less. It’s just that we have learned a few lessons in life. But explaining that to the child is next to impossible. So, if you are planning to have child two, brace yourself for many ‘Dhara Ad’ like moments! Remember the ad, where the child says ‘Sab gussa kar rahe hai, main ghar chod ke jaa raha hu!” You might feel all mushy, but also remember the kids are darn smart and do know how to play the emotional card. haha.. I hate to say it but you’re absolutely right. Was watching a few couples with kids recently and invariably, there was a sense of jealousy and need to prove one better than the other amongst the kids. It was very weird for me as I imagined kids would be busy happily playing with their siblings. This even came down to who cried the loudest… as you can imagine, the parents were exhausted! I don’t know this being an only child, and now mom to an only child. Wonderful piece Nehaji. Loved the conversation bit, its sad but true as you’ve mentioned. This is so true!! Enjoyed every bit of it and took a ride into memory lane through my childhood! True.. I can relate each and every line with my life . My elder one constantly saying this even for small things. And now he is doing better than the beginning years with his brother.. the conversation between the kids made me laugh.. nice post .. Loved the bus stop conversation betwwen the 3 children. Seriously it’s impossible to explain .But children really are smart . I have just one kid and when it comes to emotional ‘atyachar’ she is miles ahead from us. I am the elder one and my Mother told me this that I was extremely jealous that I used to ask my Mom to throw him and hold me instead in her lap. Wish I would manage well when my second one comes. Agree with you completely. Kids do feel that they are ignored when compared to their other sibling. And when they say it aloud it surely makes parents drown with guilt.